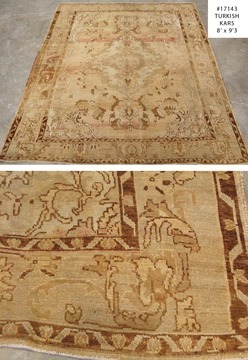 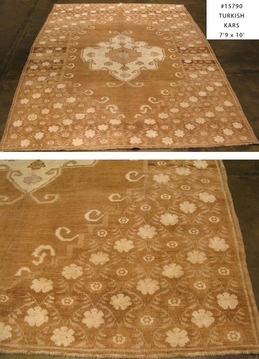 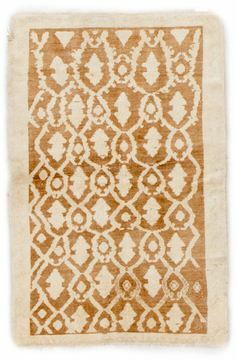 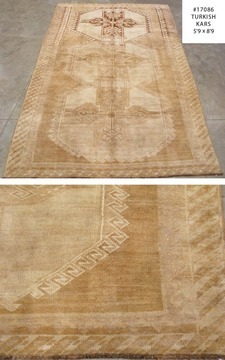 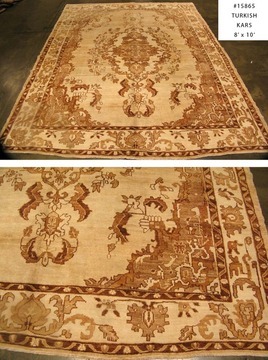 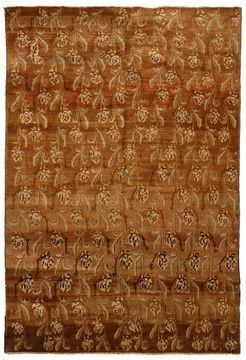 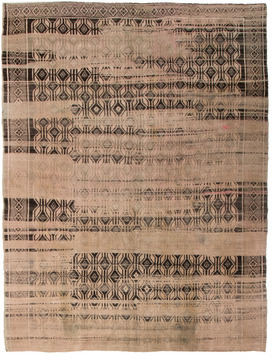 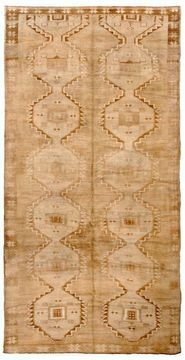 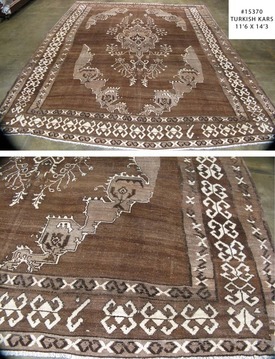 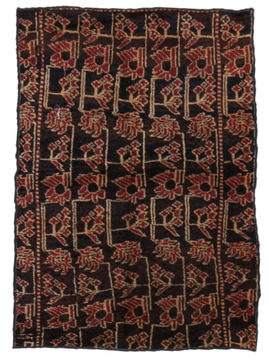 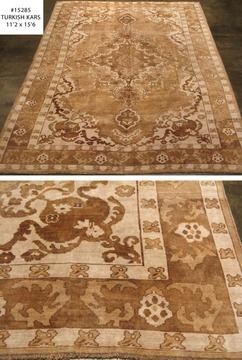 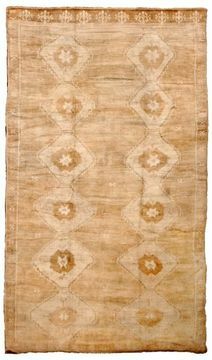 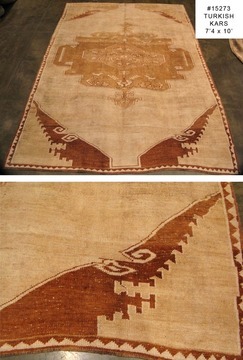 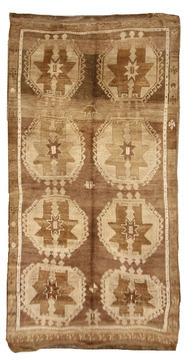 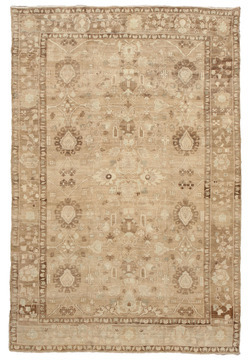 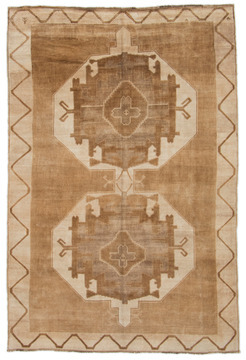 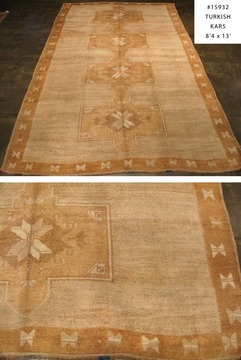 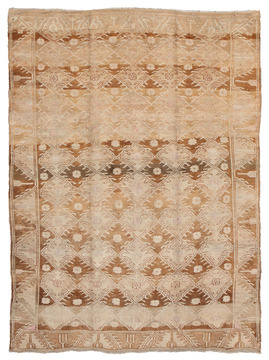 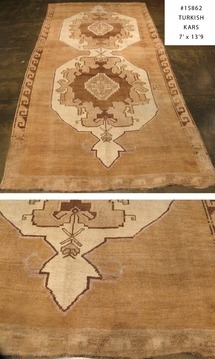 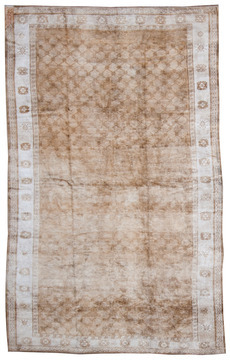 A darker, more subdued Kars Turkish Vintage Rug. 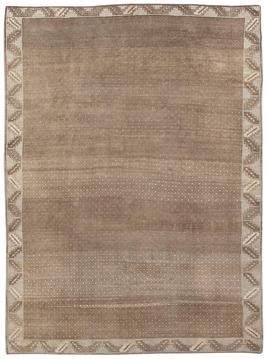 Blackish purple, taupe and khaki predominate. 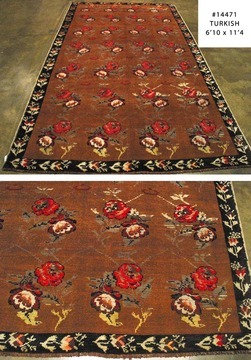 A border of segmented flowers and diagonal vinery encloses a column of large diagonal medallions. 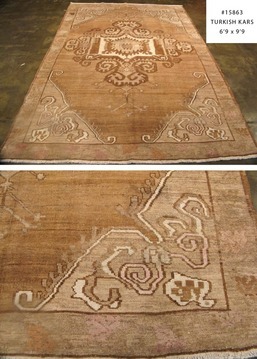 A palette of winter colors might be an interesting choice.